We’re heading into one of the busiest seasons in real estate. If you’re gearing up to buy your first home, you may have some competition out there. Spring and summer tend to dominate the housing market and see the most activity. When you’re buying your first home, the whole process may seem a little intimidating. Here’s what you need to know in order to have a successful first-time home-buying experience. One of the biggest mistakes you can make when shopping for a home is not determining what you can reasonably afford. Your monthly mortgage payment will likely be your biggest expense, and not being able to make that payment can be stressful. For this reason, you should narrow your search to homes you can afford based on your current finances. Plug your data into an online calculator to get an estimate of the price range you should concentrate on. Before you being your home search in earnest, it is essential you get pre-approved for a mortgage. 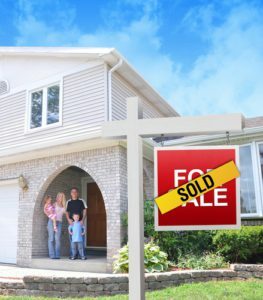 Getting pre-approved signals to a seller that you are a serious homebuyer. If you’re searching in a competitive market, not being pre-approved will work against you. If there are multiple offers on a house, the sellers are most likely to choose the buyer who has been pre-approved. Once you begin to look at home listings, you’ll see there are so many choices out there. If you don’t want to waste your time, get clear about what you want. Is the school district important? Would you like to be close to your job? How many bedrooms do you need? Would you like to be within walking distance of certain amenities like restaurants or cultural attractions? Take time before you start looking to create a wish list so you can be strategic about your home search. You are probably already aware that you’ll need a down payment for your home. This can range anywhere between three to 20 percent of the purchase price, depending on the type of loan you secure. But be prepared for other costs you will incur. You’ll need earnest money to submit when you make an offer. You’ll also need to factor in the closing costs such as taxes, attorney fees, title insurance, and inspection. Finally, one of the most important things you can do as a first-time homebuyer is to work with an experienced real estate agent. When you work with an agent, you have a trusted partner who is working in your best interest. They will be familiar with the local market and understand the entire real estate process. Working with a professional will help eliminate loads of stress and they can make suggestions and offer advice throughout the entire process. Please fill the required fields. What is a Mortgage Pre-Approval? Is Your New Home Making You Sick? Submit your email to get all the latest posts sent directly to your inbox.